Russia has long captivated the West as a land of golden onion-domed churches, vast expanses (including eleven time zones), despotic tsars, ruthless commissars, long-suffering but large-hearted people, great writers, and, of course, the mysterious Russian soul. It is also now a place where hundreds of US companies do business and where thousands of Americans work and study. One of the major languages of the world, Russian is spoken by more than 250 million people, including some 3 million people in the US. In the larger geopolitical context, where Russia continues to play a prominent - and, at times, infamous - role in world events, there has never been a more urgent need for experts on Russian politics, history, and culture. The Russian curriculum at Rochester offers students courses in beginning through advanced Russian language study, Russian current events and politics, Russian literature of the last two centuries, Russian civilization, art, architecture, and film, as well as classes focusing on Tolstoy, Dostoevsky, Chekhov, and Nabokov. In addition, since 1992, MLC has run its own summer program in St. Petersburg, Russia during the White Nights of the month of June, when the sun almost never sets and the city never sleeps. UR students are eligible for Mildred R. Burton Travelling Fellowships, which for over two decades have allowed hundreds of students to study abroad in the summer. Our classes boast small faculty/student ratios and our students often pair their Russian major with other majors in the College. Our graduates are highly competitive and have gone on to work in academic positions, in international businesses in Russia, in language exchange programs, as teachers of English in Russia, with various NGOs, and as lawyers and professionals in the US. The University of Rochester offers degrees in both Russian and Russian studies. The Russian major, minor, and clusters are in the Humanities division. The Russian studies major, minor, and clusters can count in either the humanities or the social sciences. Language study in Russia is strongly recommended. Five courses in Russian language, literature, and culture, to be selected in consultation with the Russian advisor. There are four Russian clusters, all in the humanities academic division. An introduction to Russian culture and identity, beginning with a survey course on civilization, literature of the golden age, or art, followed by courses from the nineteenth and twentieth century literary traditions. This cluster introduces students to basic language skills (reading, writing, speaking, listening) as well as the cultural context for Russian, courses that explore Russian literature, art, and film. Intermediate Russian, followed by a third course (or two 2-credit courses) which either combines language and culture, or focusses on a broad period, or a specific author or important topic. This cluster introduces students to basic language skills (reading, writing, speaking, listening comprehension). 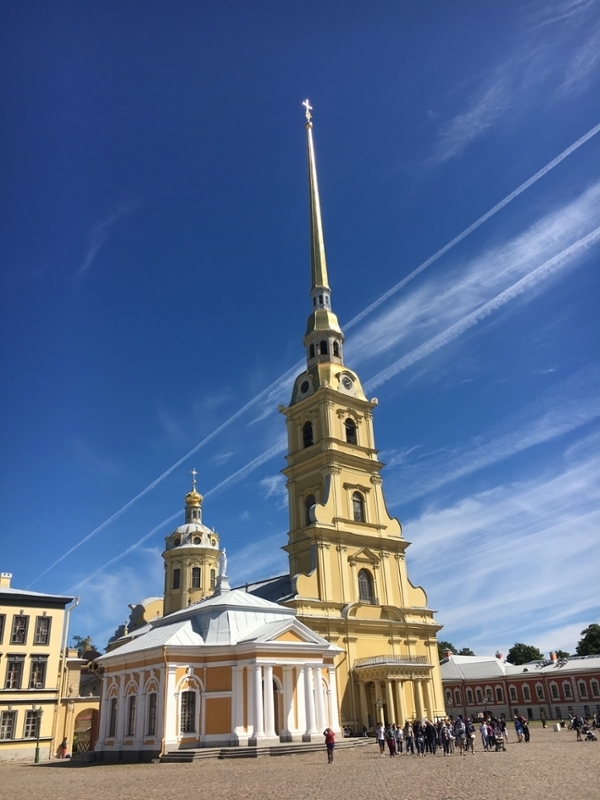 Explore the history, culture and language of Russia first-hand though the department’s Summer Program in St. Petersburg, Russia. This program is open to both experienced and beginner Russian speakers. Students can also study abroad in Russia through programs coordinated through the Center for Study Abroad. Attend an information session or speak to a study abroad advisor to learn more. For students with previous experience with the Russian language, the first step is to take the online placement exam via your Blackboard home page by clicking on the "Services" tab, then on "Academics". You will find a link to the online exam under "Langauge Placement". For more information on the online placement test, and instructions for how to login, see our online placement exam instructions page. After you take the test, you will receive a score that will be used along with the other information you provide to help determine your placement. A language placement advisor will email you with your official placement sometime after you take the exam. Students who have not studied Russian previously and who are not heritage speakers of Russian may register for RUS 101 without taking a placement exam. The placement you receive with your online numerical test scores is not necessarily how you will be placed by MLC. For more information about Russian, contact Professor John Givens at (585) 276-5856 or john.givens@rochester.edu.